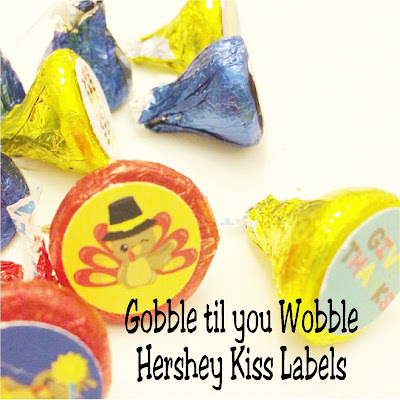 Gobble til you Wobble this year at your Thanksgiving dinner party with these super cute and easy Thanksgiving Hershey kiss labels that are perfect for your Thanksgiving dessert table. Get the free printable now and be ready with a yummy and full Thanksgiving treat. Psst...come closer. I'm going to tell you a secret. (looks around furtively) "I HATE turkey." Thanksgiving is my least favorite holiday. Not because I don't love the colors and the idea of being thankful. Actually that is probably one of my favorite parts of the year. But I really don't like eating turkey. We only have it once a year and then it's the biggest one I can find so my Dear Hubby has leftovers to last forever. He is so awesome to put up with me that way. But I do LOVE Thanksgiving pie and desserts. Just for that reason alone, I love Thanksgiving. What better way to kick off the holidays then to stuff your face with pumpkin pie, apple pie, cheesecake, 7 layer cookies, ice cream, and more? 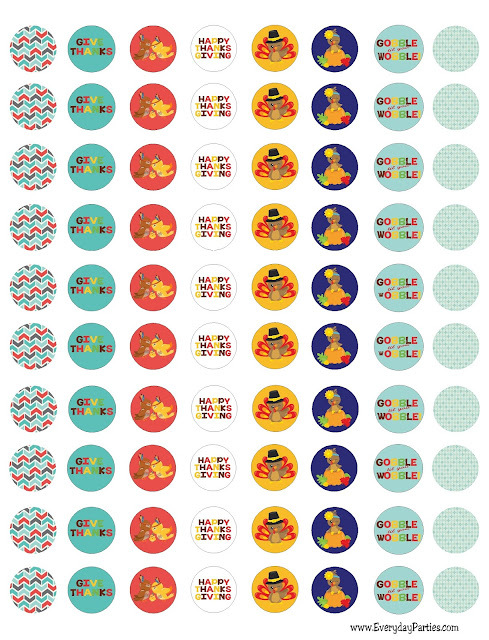 We definitely Gobble til you Wobble around here with the Thanksgiving dessert. 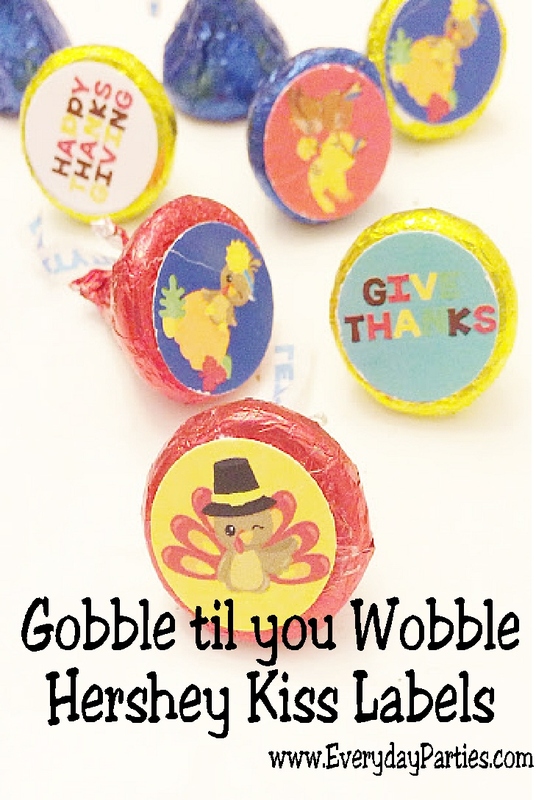 This year as part of my Thanksgiving dinner we are having a Thanksgiving dessert table with a Gobble til you Wobble theme. After sharing so many yummy alternatives to the traditional Thanksgiving pie, I am so ready to get my baking on! But I'm starting with a quick and easy treat to set the theme of my Thanksgiving dessert table. 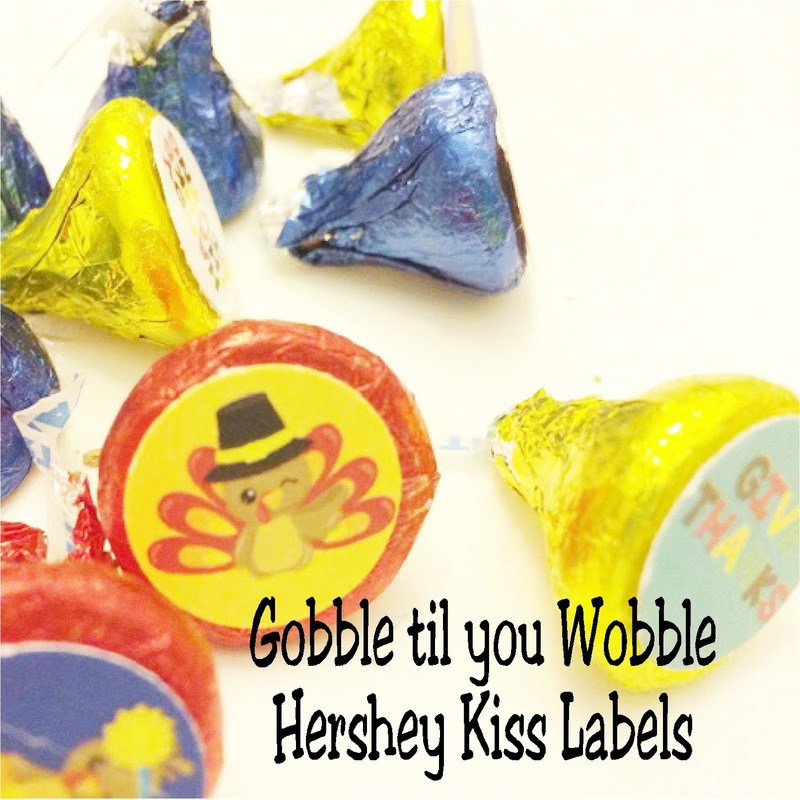 These Gobble til you Wobble Hershey kiss labels are a quick and easy way to bring more chocolate (because who doesn't need that?) into your Thanksgiving dinner. The graphics for these kiss labels are curtesy of Premium Clipart and the label printable is by Everyday Parties. What kind of desserts are you going to have at your Thanksgiving dinner this year?